Its been a month since I returned from our first South African Shark Safari and I still can’t get that incredible experience out of my head. With the possibility of fourteen species of sharks I knew that it would be a good trip but I had no idea how good. 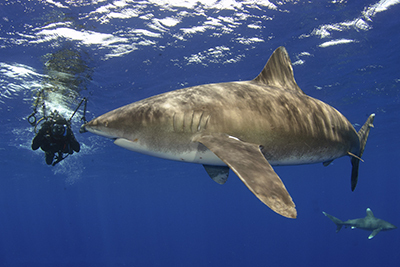 Cape Town is a shark diver’s paradise! 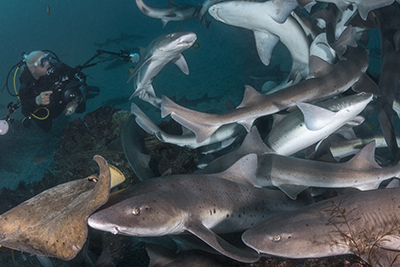 On one memorable dive we slipped into a beautiful kelp forest amid a handful of broadnose sevengill sharks and then swum amongst five species of catsharks that were hunting on the reef. 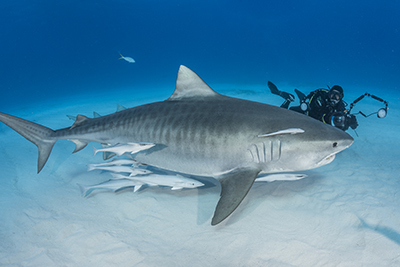 A couple of shy spotted gully sharks also made a brief appearance making a total of seven species on one dive alone! 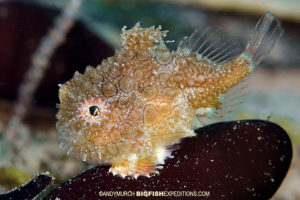 That would be enough to set the West Cape apart from almost every other dive site in the world but just a few kms away from the reef is Seal Island where you can also dive with hunting great white sharks and still be back in time to watch African penguins waddling along the beach in the afternoon sun. 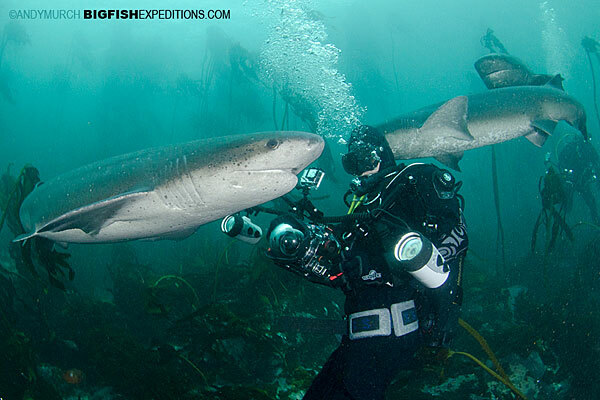 By the end of that amazing week, I was so impressed by South African shark diving that I immediately booked dates for 2014. 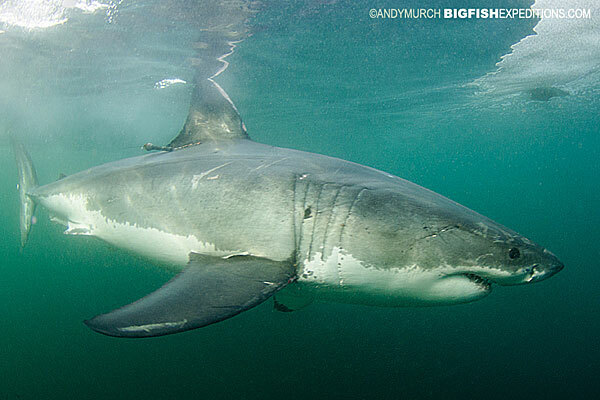 Join me in Cape Town next year if you can: 2014 WEST CAPE SHARK SAFARI. 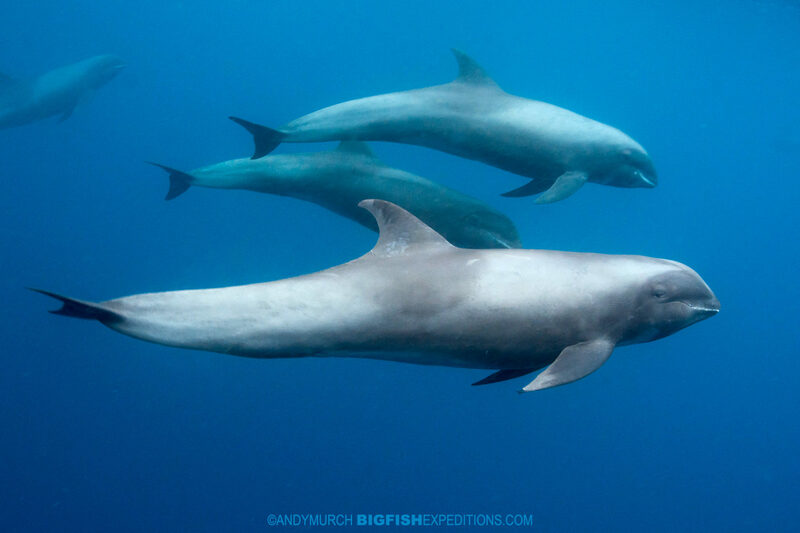 After sharing a few pics on Big Fish Expedition’s Facebook Page this trip is already almost full so please contact me asap if you’d like to come! 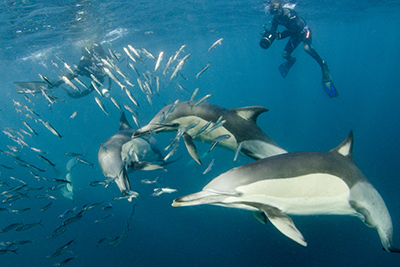 With so much world class diving on offer, it would be crazy to go all the way to South Africa for just one adventure. 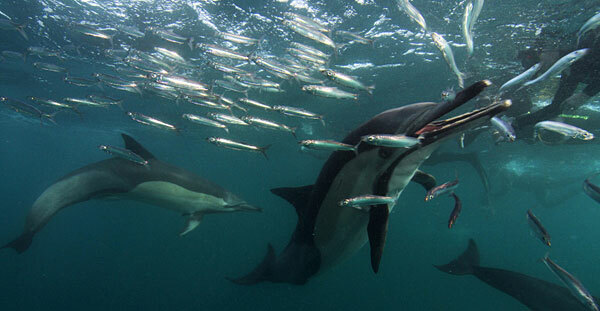 So, next year after the Cape Town Shark Safari, Big Fish Expeditions is staying in South Africa for the world famous Sardine Run. For most people the Sardine Run needs no introduction but for anyone that has been living in a bubble, the Sardine Run occurs each year when cold upwellings force millions of sardines to the surface. 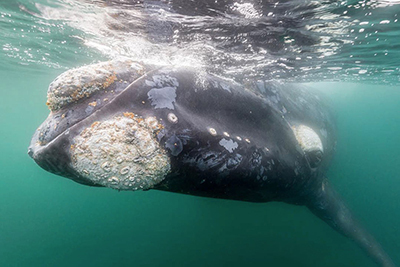 The resulting river of bait-fish is so enormous that sharks, dolphins, whales, diving birds and huge schools of tuna congregate off the Wild Coast of South Africa in record numbers to feast on the oil rich fish. 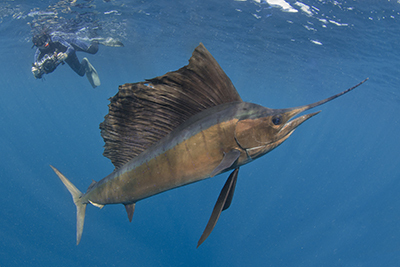 The bait-ball action that sometimes occurs at this time is one of the most spectacular oceanic events on the planet. Join me in the thick of it! Just on its own,The Sardine Run would be an epic event but to make our expedition even more special, I am combining the Sardine Run with some exploratory chumming dives for endemic catsharks on the inshore reefs of the Wild Coast and with offshore, blue water, baited dives for bronze whaler sharks, oceanic blacktips and any other shark species that show up to feed. 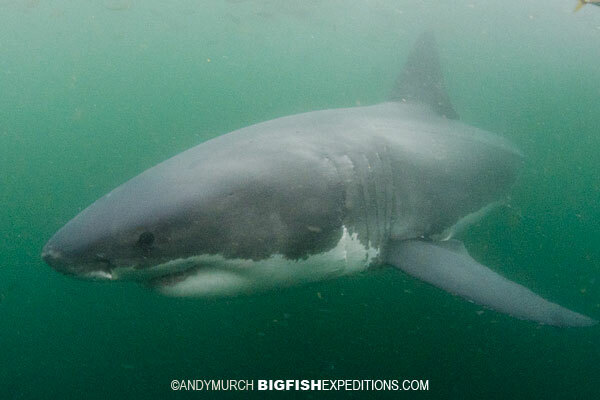 Join me on the 2014 SARDINE RUN AND WILD COAST SHARK SAFARI Just one spot left! I’m very excited to bring you this new trip! 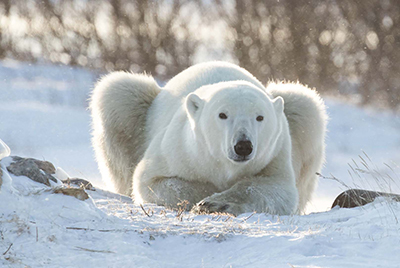 Each summer, thousands of Beluga Whales congregate in Hudson Bay to feed, breed and socialize. 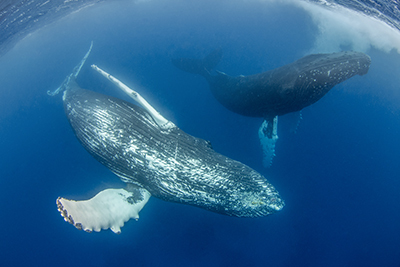 Join me on a ground breaking expedition to swim with and photograph these iconic white whales in their natural environment. 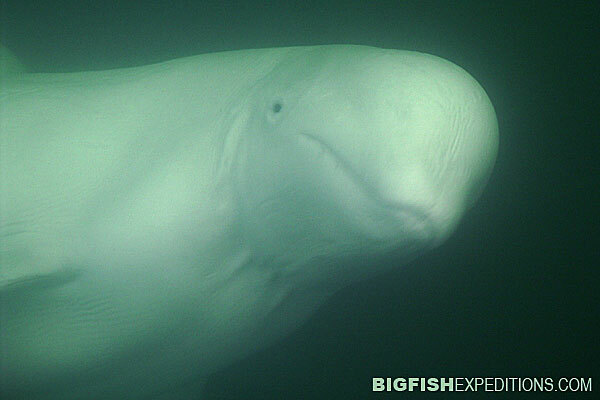 We will spend four mornings swimming among large pods of belugas. 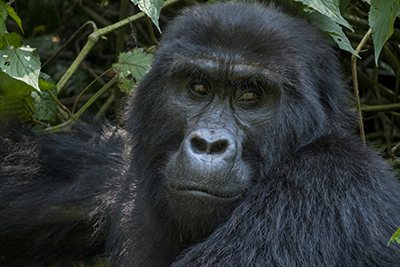 These are extremely curious animals so it is likely that they will approach us very closely. 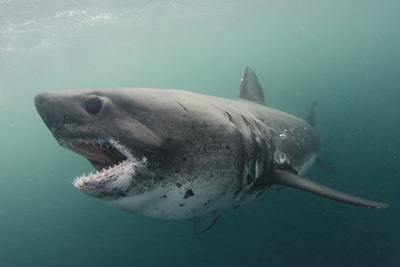 Last week we were in Scotland searching for basking sharks. 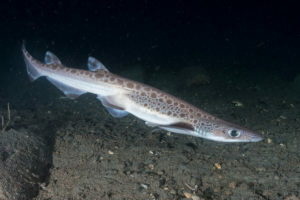 Scotland was ruggedly beautiful but because of a very late spring that brought unseasonably cold weather, the sharks did not arrive as predicted. 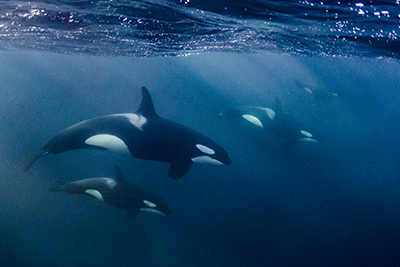 We saw a couple of sharks breach but there was no opportunity for in-water encounters. It was tough luck but if you go on enough trips this will inevitably happen sooner or later. 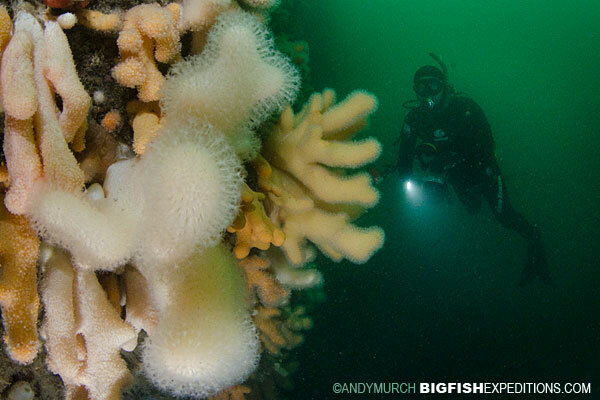 We had a great group so everyone had a good time anyway and we did get to dive with seals and other Scottish marine life and explore some interesting reefs around Tobermory. Next year we’ll be back there to finish what we started! 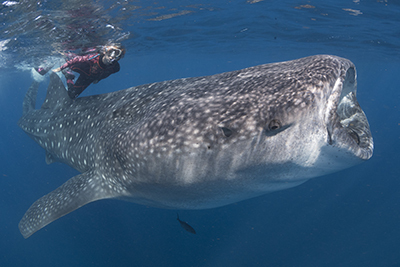 WHALE SHARK SEASON IS FINALLY HERE! 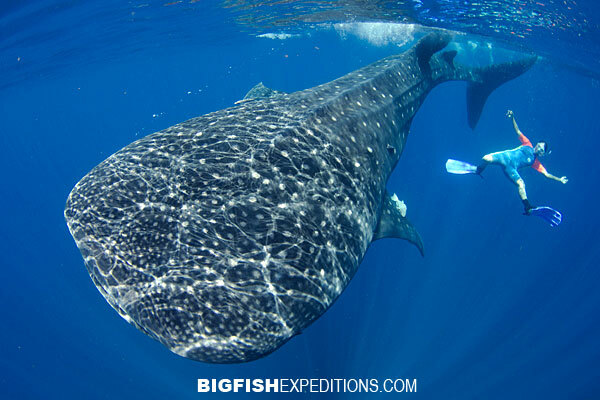 Next week we begin our whale shark season in Isla Mujeres, Mexico. I’m happy to report that the sharks have already arrived in their hundreds so we’re expecting some great encounters over the next few weeks. We have just two spots open from August 2-7. 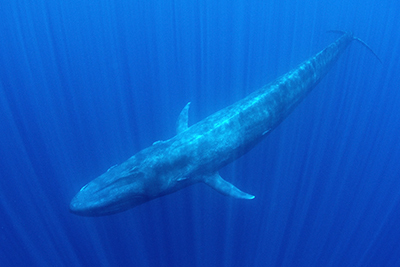 So if you want to swim with the world’s biggest fish please drop me an email. 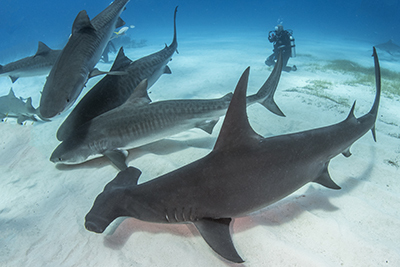 While we’re in Isla Mujeres, I am hoping to put together a film about this unique aggregation of enormous animals and the problems that they are facing. I’ll let you know how that went after this year’s trip. 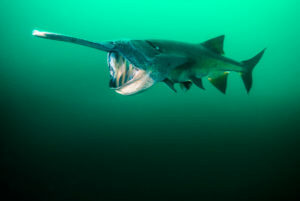 Big Fish Expeditions would not exist if it wasn’t for the popularity of Elasmodiver.com. 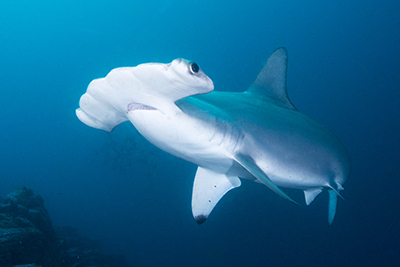 The Elasmodiver database remains one of the largest collections of shark and ray images on the internet and is an unbiased source of shark diving information. 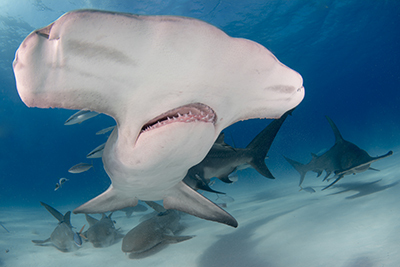 The images on Elasmodiver are frequently used by conservation groups to help push through regulations and treaties aimed at protecting sharks and rays (aka elasmobranchs) around the world. After our whale shark trips, I am heading to California to look for a very illusive deepwater shark and to try to add some other elasmos including the Pacific torpedo ray to the Elasmodiver database. If you happen to see any along the southern California coast in August, please drop me a line! 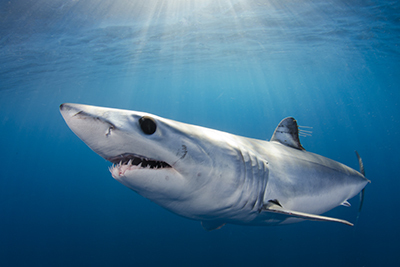 Then at the end of August I’m back in Rhode Island for a sold out Blue/Mako/Dogfish Shark Safari. 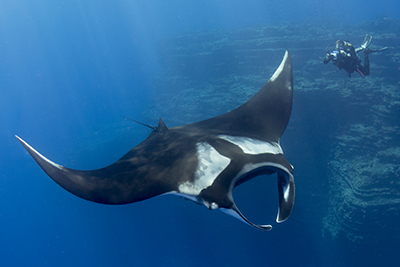 After the charter I’ll be shore diving for a few days around Rhode Island and Massachusetts to hunt for more endemic sharks and rays. Specifically, I’d like to track down an Atlantic torpedo ray so if you’re diving up that way and know where they’re hanging out this year, please email me with info! 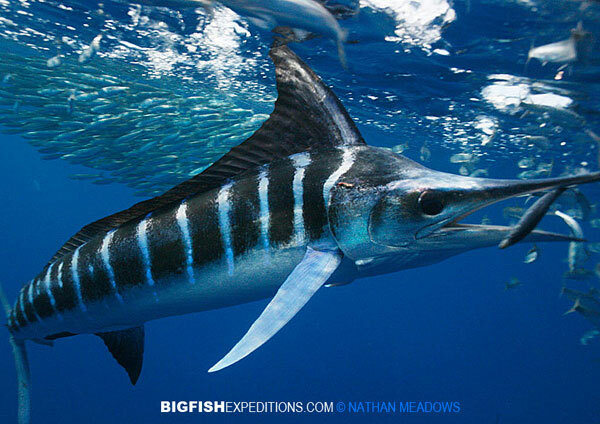 We are planning a quick trip to Argentina to chase illusive sharks in November and then in early December I have an exciting Big Fish Expeditions trip to Baja for a week of chasing striped marlin, whales, mola mola and sharks. 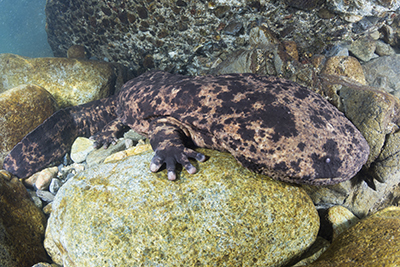 When the sardines are running, Baja’s west coast is a dynamic place to dive where anything can show up to feed. Join me there for a week of adventure! 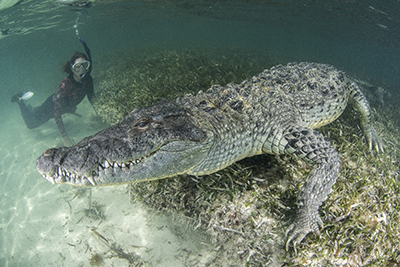 Previous PostAre Crocodiles the New Sharks?